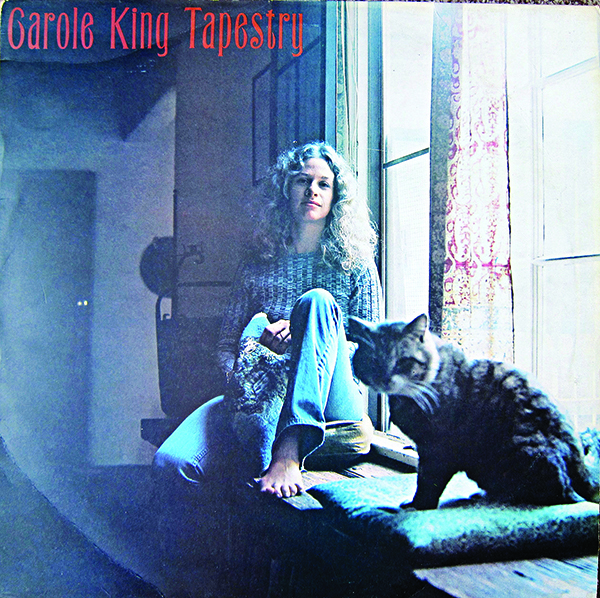 I was only six when Carole King released her Tapestry album, but my mother made sure ‘You’ve Got a Friend’ was as familiar to me as “Wheels on the Bus” – and so much more melodic. Carole was in effect a member of our family, so imagine how it felt to be standing right in front of her on Sunday as she belted out “I Feel The Earth Move” sitting at a grand piano in Hyde Park. “This is what 74 looks like,” yelled Carole from the stage and more than a few Jewish women in the audience subconsciously touched their hair and shifted their vest straps because there is no denying Carole looks great. The wild curls that framed her face on the album cover in 1971 are now white, but her husky voice is reassuringly the same – even on the high notes – and when she strapped on an electric guitar for “Smackwater Jack” it was hard to believe this woman made her first recording in 1958. “Please God by Me,” I heard someone I sort of recognised mutter in the 50,000 strong-crowd which contained an exuberant Jewish contingent beaming with pride as they sang along to So Far Away with tears in their eyes. King’s songs can make you well up at the best of times, but as this Barclaycard British Summer Time festival appearance was the first time she had performed the album live in its entirety, it was impossible not to get emotional. Joined on stage by veteran Jewish guitarist Danny Kortchmar who has been playing with Carole forever, we were also treated to the appearance of Louise Goffin (Carole’s daughter with her late songwriter husband, Gerry) who did a set earlier in the afternoon and then doubled up with mum for “Where You Lead”, before breaking into ‘Will You Still Love Me Tomorrow”. Those who have seen the hit West End musical Beautiful about King’s life will know that Tapestry happened almost as a result of her broken marriage. But before the heartache she wrote an astonishing songbook with Gerry at the Brill Building in New York and in an all-too brief tribute we were reminded of how good they were together when she sang “I’m Into Something Good”, “It Might as Well Rain Until September”, a rocking “Loco-Motion” and then “Chains”. It was just a taster of the collection, but you can’t help feeling that if you had written one of those songs, you could die happy. 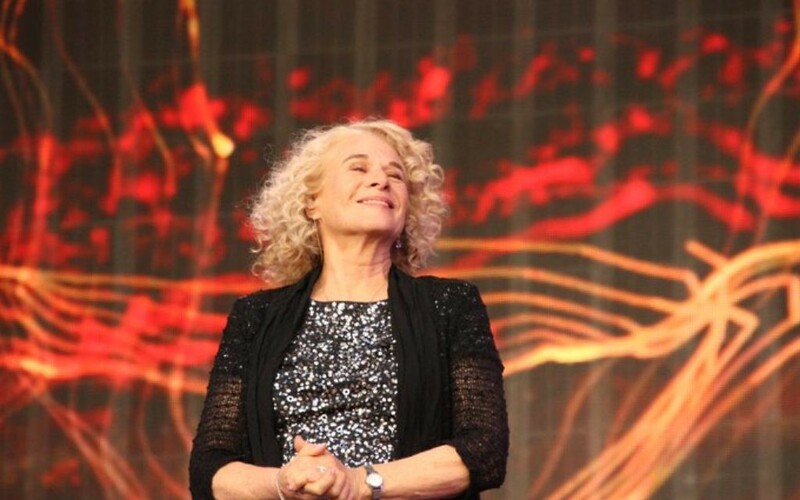 As it was Carole King made a politically-jaded crowd very happy on Sunday in London and she was visibly moved by the adoration. 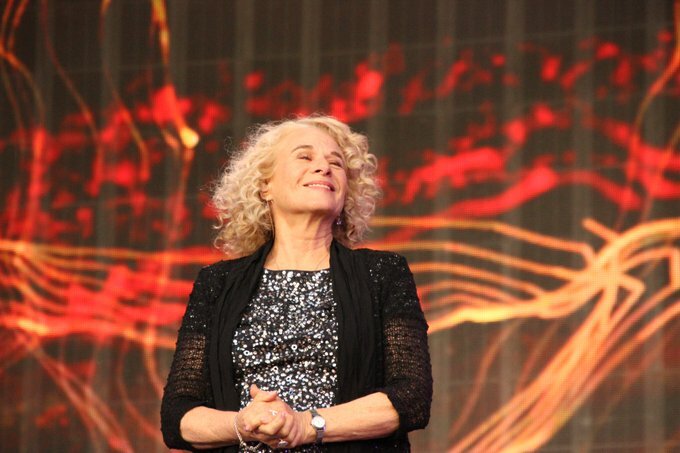 “So Carole King is Jewish?” queried my nine-year-old daughter on the way home. “Lots of talented songwriters are,” I confirmed. “Wow so Stevie Wonder is Jewish,” she chirped. I intend to put her straight by Sunday when she sees La Wonder step on to the BST British Summer Time stage.